Canada's Dominion Diamond Corp. (TSX: DDC; NYSE: DDC) revised its forecast Friday for Diavik mine production in the upcoming year by 11% to 6.6 million carats. The increase is primarily due to the mine processing more stockpiled ore for a total of about 2 million tonnes of material. Dominion also said it's reviewing its Ekati mine plan and budget and expects it to produce 1 million carats by the end of the year. 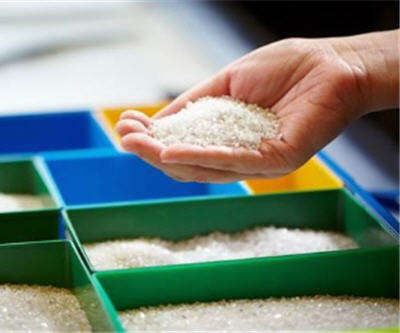 Based on current prices, the company also forecast its rough diamond sales for the 2014 fiscal year at $730 million split evenly between the 40% Diavik share and the 80% Ekati share. Image courtesy Dominion Diamond Corp.